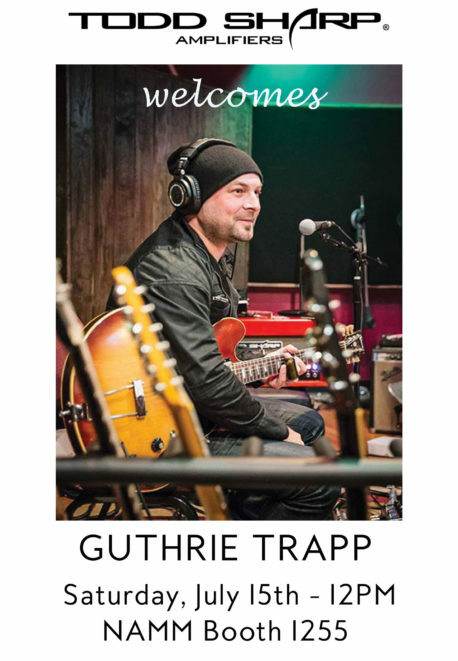 Meet Guthrie Trapp Saturday, July 15, 12:00 noon at Summer NAMM. Come by and hear one of Nashville’s finest guitarists plugged into a Todd Sharp Amplifier – playing and talking about the unique JOAT Series Amplifiers along with guitarist and designer Todd Sharp. If you find yourself at NAMM this year, be sure to catch this! Booth #1255 Saturday at noon.